Project Nao intends to create an affordable humanoid robot with mechanical, electronic, and cognitive features. 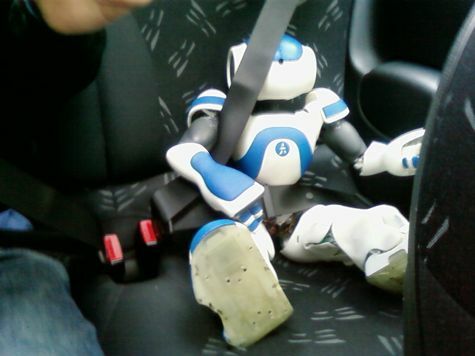 Eventually, with many improved behaviors, it will become an autonomous family companion. (Description adapted from http://www.aldebaran-robotics.com/eng/Nao.php) As a CDD engineer in 2007, I developed the touch sensing panel in its head and the infrared detection and emission abilities of its eyes (think robot controlled television! ).